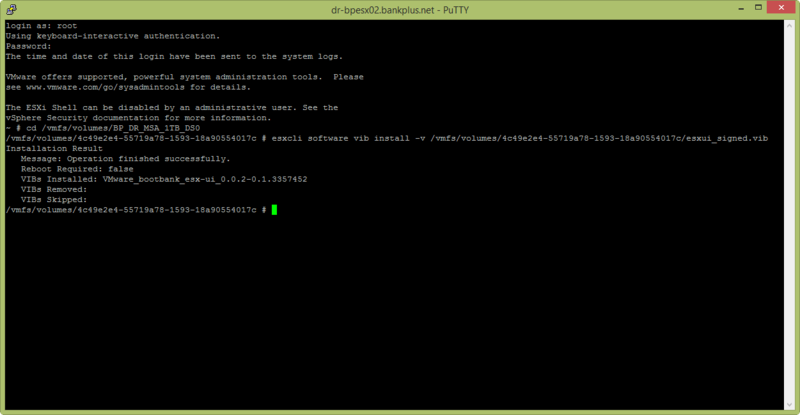 By far, my favorite fling is the ESXi Embedded Host Client. 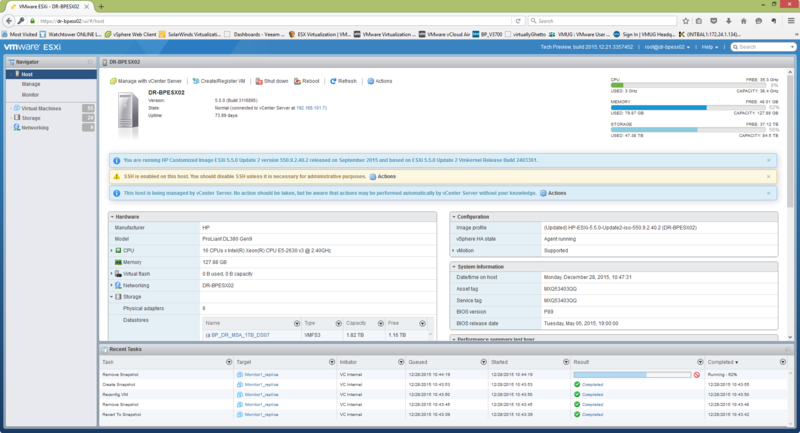 I really like the potential of this one and what it could mean for the future of VMware Update Manager. 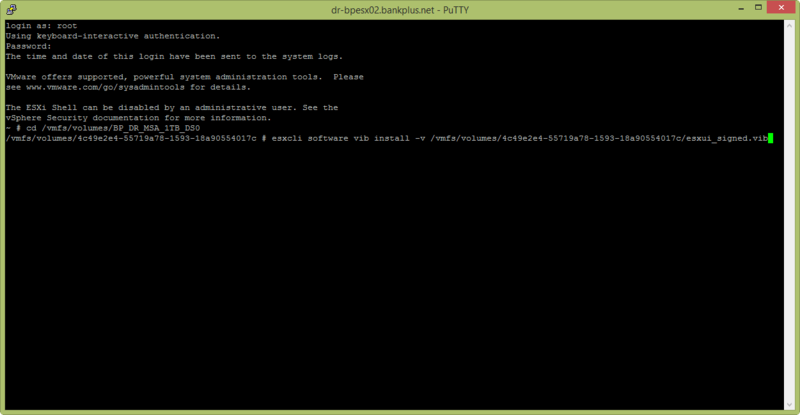 VUM is really just about the last thing that has me holding on to the vSphere client. 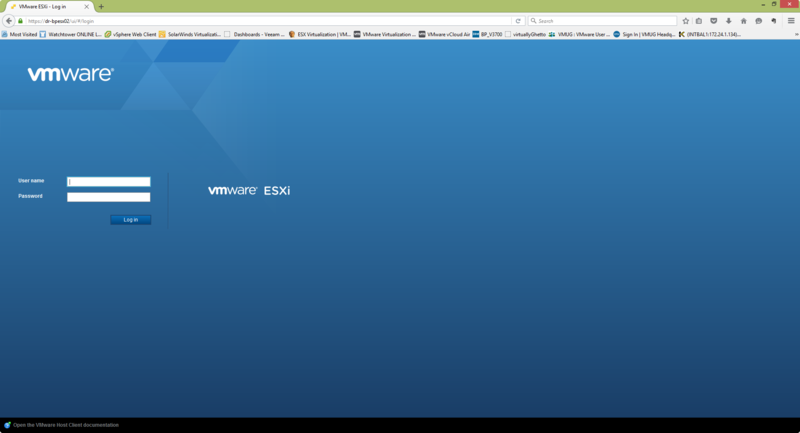 With the ability to upgrade VMware tools and hardware and install ESXi updates with the embedded host client, it seems that VMware has the potential to have all of its products managed by a web browser. Here’s a walkthrough of the quick and simple install. These are in addition of some other notable features like the ability to clear a partitions and the ability to resize a datastore that already has a partition table. Really nice! !